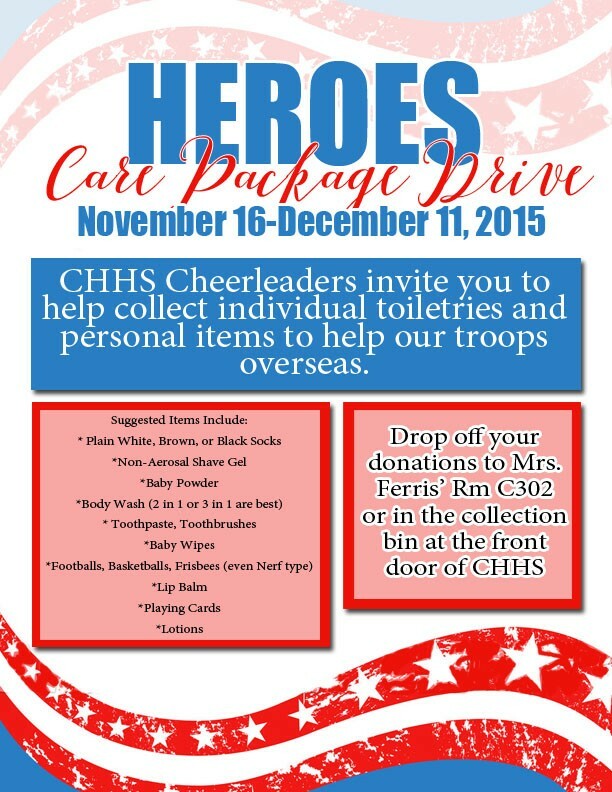 Care Packages for Soldiers: Colleyville Heritage HS Cheerleaders Support the Troops! Colleyville Heritage HS Cheerleaders Support the Troops! The Colleyville Heritage High School Cheerleaders (in the DFW area) dropped off a great assortment of donations for our soldiers care packages today. The Airborne Angel Cadets of Texas are very thankful for their outstanding efforts in supporting our military troops overseas. Included in the many donations were socks, baby powder, body wash, frisbees, lip balm, playing card, lotions and many other items that the troops will truly appreciate. 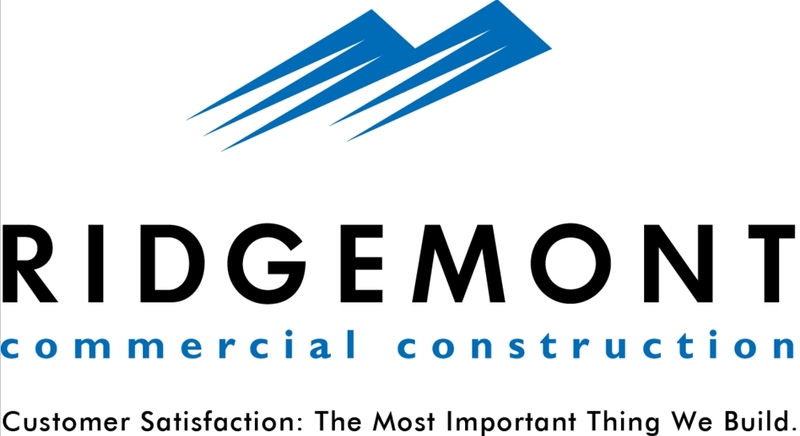 A big thanks to everyone at Colleyville Heritage High School who participated in this collection drive! 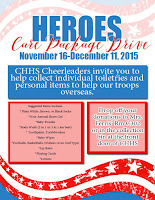 CHHS Flyer for their Care Package Collection Drive. 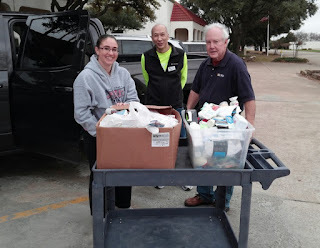 Pictured above are some of the donations from the CHHS Cheerleaders.